Everyone hates spam comments, spam email, spam tweet, flatter spam, anything spam (except the food of course), who doesn’t? I wonder if this site is a spam magnet. Dealing with spam comments daily is annoying. I have to check every comment eaten by Akismet and see if it’s really spam and not ham. There are 3-5 legitimate comments from few blogger friends whose comment has been eaten by Akismet, so I have to check first before clicking the empty spam button. Annoyed with all the spam comments I get, I started blocking/banning their IPs, one by one with the help of WP-Ban plugin. I would search first their IP address range and check how many spammed comments came from that IP, then I would block them all. I’d check the Ban Stat after a week and then reset it. But for more than 2 months now, I haven’t resetted the stat and just let the numbers accumulate. Here’s a screenshot of my latest ban stat. 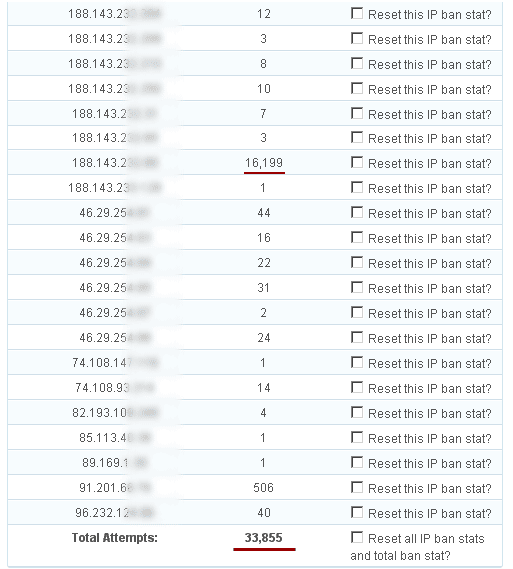 33,855 total attempts and 16,199 came from one IP address. Seeing these numbers make me sick. Seriously. Blocking IPs may not be a good idea, there’s a consequence to it, but it’s my choice for now. I might remove it one day if I find a better solution to my spam problems. Currently my Spam folder is 0 and I only receive 5 – 8 spam weekly, unlike before. How about you? How do you deal with spams? Flatter Spam, not at all flattering! Kainis talaga ang spam. I used to have many before at kung anu-anong spam fighter na lang ginamit ko pero ganun pa rin. 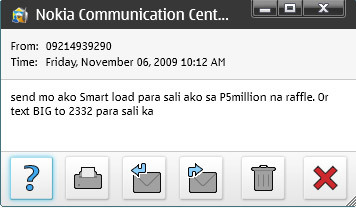 Lately, I installed NoSpam NX, ok naman ito, nabawasan ang spam comments. Parang detailed itong WP-Ban plugin kasi nakikita ang stats. Might try this after upgrading my WP. Try ko rin yang NoSpam NX na yan, feeling ko kasi yung ibang comments galing sa automated spambots. Itong mga spammers kasi, ang hilig magsayang ng oras, pati tayo idinadamay. 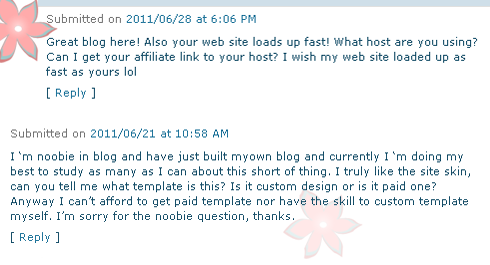 I am still using akismet for my blog. Yung gamit mong plugin, mukang ok ah. Target na talaga yung ip address nila. Must have din ang Akismet eh, so far ang accuracy rate ng Akismet sa akin based sa stat ay 99.77% from 281,011 total spams since 2008. Now ko lang din nakita na last year pala ang pinaka maraming spam kong nareceive, kala naman nila makakalusot sila. Perhaps you could try the Disqus or Livefyre plugin. Both require signing up for an account before commenting so that discourages spammers. Hi Jean, that’s a good suggestion. 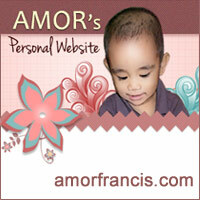 This site being powered by WordPress, I can also enable registration so that only registered users can comment. But I won’t do it because it’s my pet peeve. There are several blogs I’ve visited that requires an account before commenting, that turns me away, I ended up leaving the site. But if I really really have to comment, I might try registering, otherwise I’ll just leave.